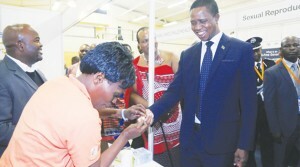 PRESIDENT Edgar Lungu has said Zambia is committed to boosting trade with Swaziland on the premise of unlocking available business growth opportunities between the two countries. Mr Lungu said trade and investment relations between Zambia and Swaziland were cardinal to fostering economic growth for the mutual benefit of Zambians and Swazis and their compatriots in the Southern African Development Community (SADC) region. The Head of State said this on Saturday in Mbabane, Swaziland, when he officially opened the 49th Swaziland International Trade Fair held under the theme ‘Unlocking trade opportunities for economic growth’. President Lungu is in that country on a State visit at the invitation of its leader King Mswati III. 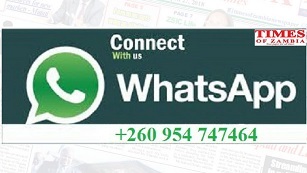 “The theme ‘Unlocking trade opportunities for economic growth’ is befitting and timely because our countries cannot attain economic development without promoting trade, as it stirs economic growth through increased commercial opportunities and investments, thereby reducing poverty among our people,” President Lungu said. He said the Swazi Fair was a celebration which continued providing a platform for organisations to interact, forge business partnerships and promote trade and investment in Swaziland and the region. The President said trade played an important role in cementing ties between nations by bringing people together from diverse sectors in a peaceful and mutually beneficial manner to exchange innovative ideas. The Head of State said the resolution of SADC heads of State and Government during the recently-held 37th Ordinary Summit in South Africa, to place the region under industrialisation, would broaden productive capacities and enhance competitiveness. Mr Lungu said the friendship of the two countries was anchored on a rich history pioneered by their founding fathers, and it was with that realisation that Zambia continued to treasure the warm relations with Swaziland. The two leaders undertook a tour of the stands at the Fair, with President Lungu encouraging the exhibiting Zambian companies to harness value-addition to their produce as the market was yawning for finished goods.